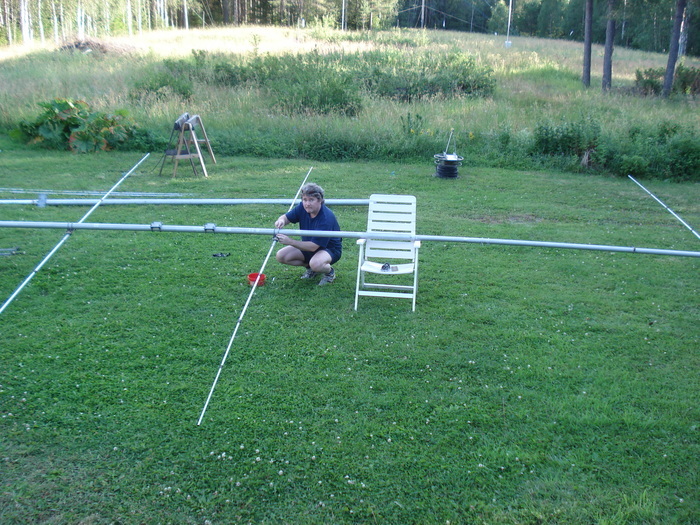 In the end of the weekend SM3SGP arrived up from SM0 area to help out with the 40m yagi work. 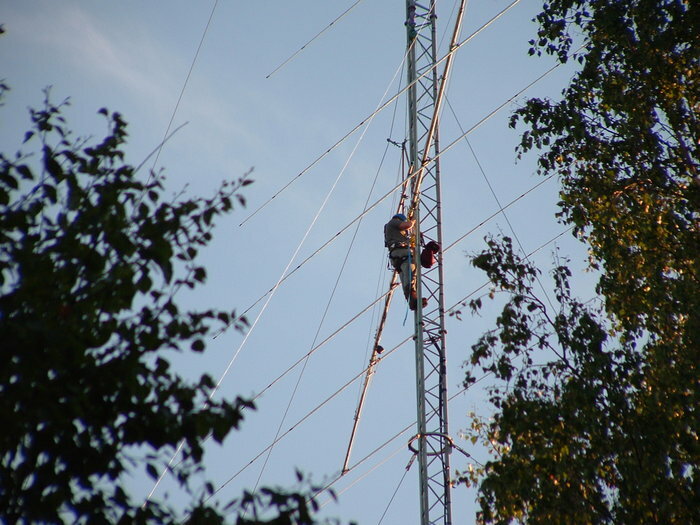 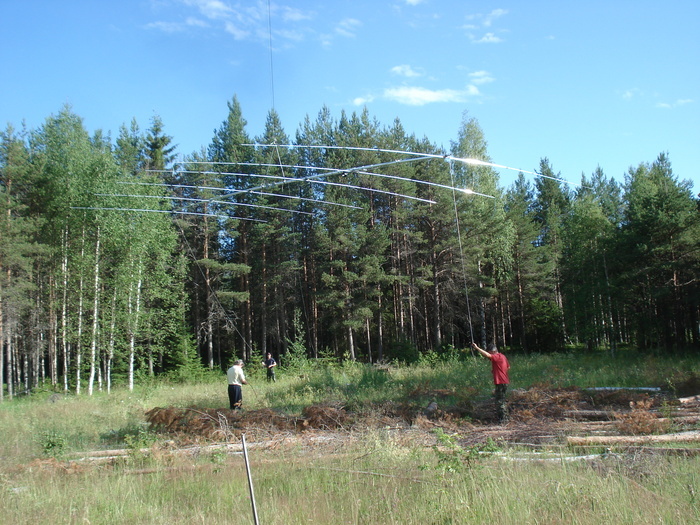 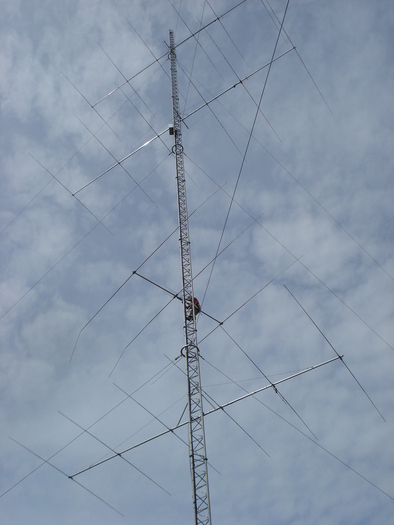 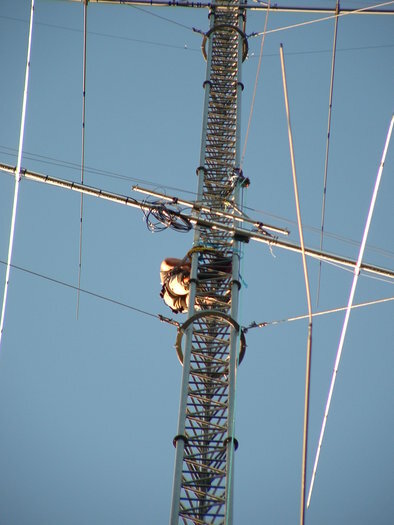 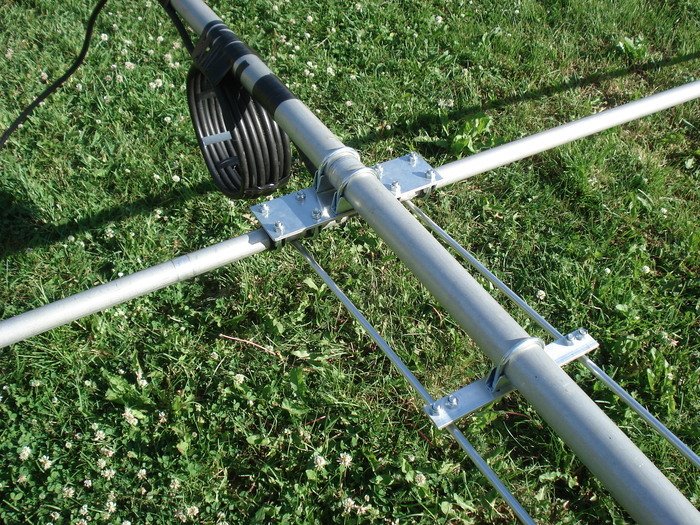 Since its a bit tricky to get the 40m yagi up in the top of the tower, especially since the 20m yagi is hoisted he will build the yagi up in the tower. 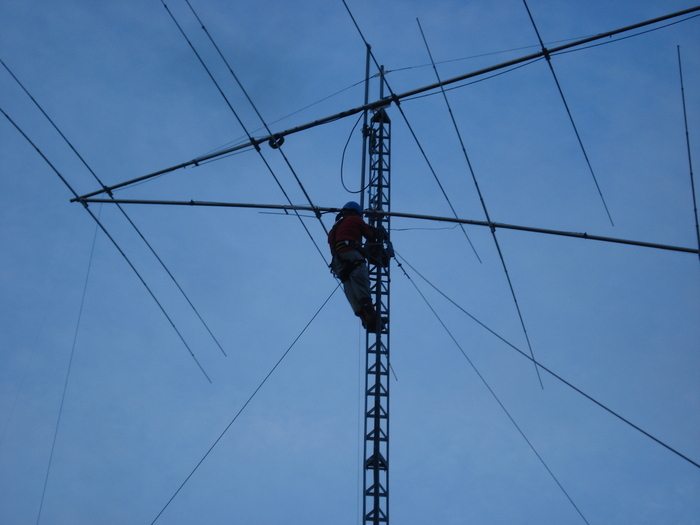 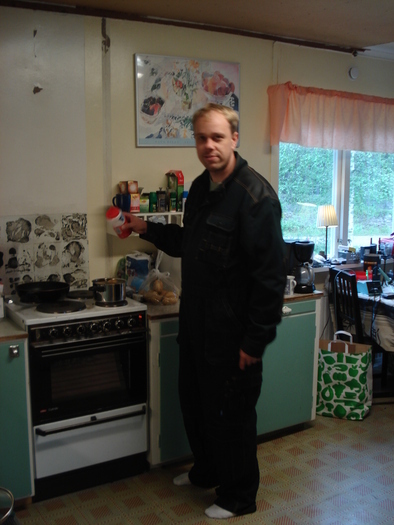 He has done this before at his Contest station SK3W with good result. 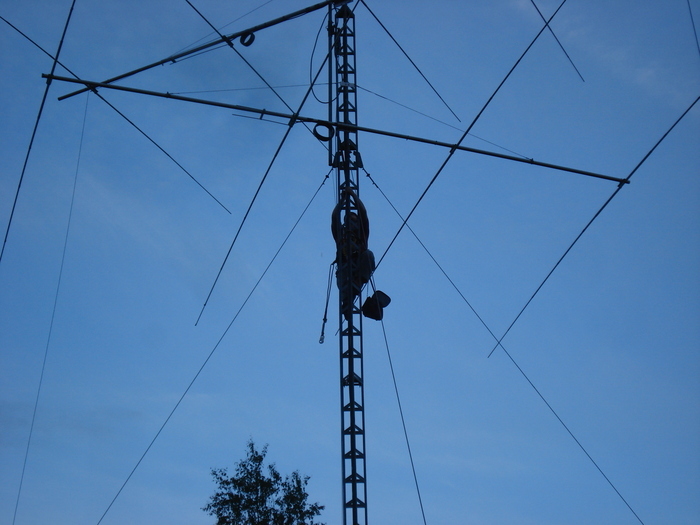 The idea is to first lift the boom up, then the director, reflector, tilt it up and at last hoist the driven element up and mount it to the boom. 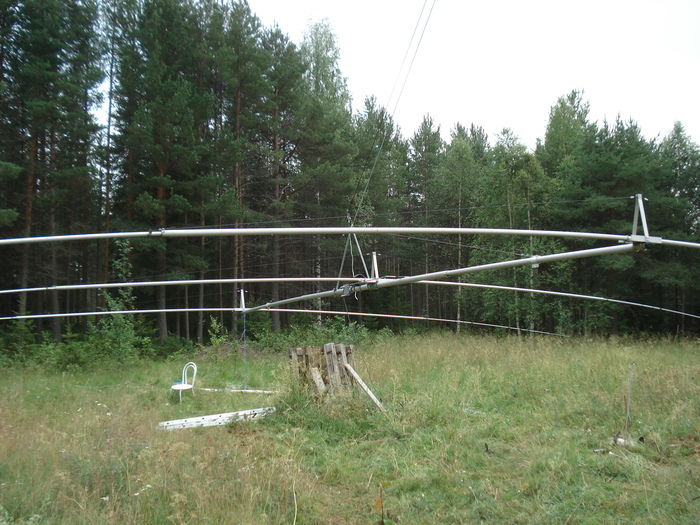 But first we needed to level everything out and hoist the beam for some tuning. 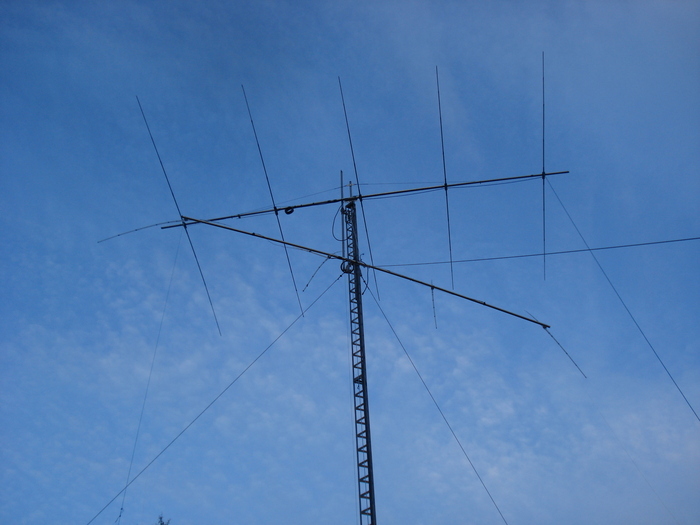 We had a pretty good result at the first hoist but we did some minor changes and got it to resonate with a 1.2:1 VSWR where we wanted it. 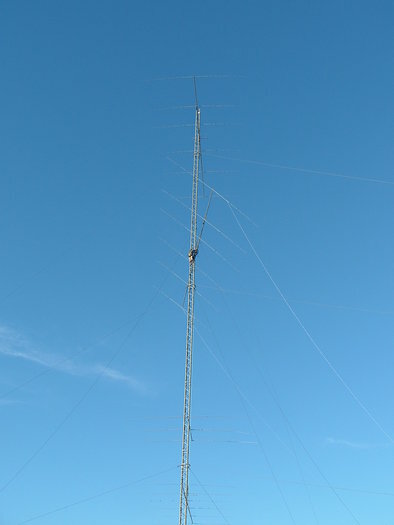 However since the beam was probably still affected by the ground we might need to do some fine tuning in the tower when the beam is in place. 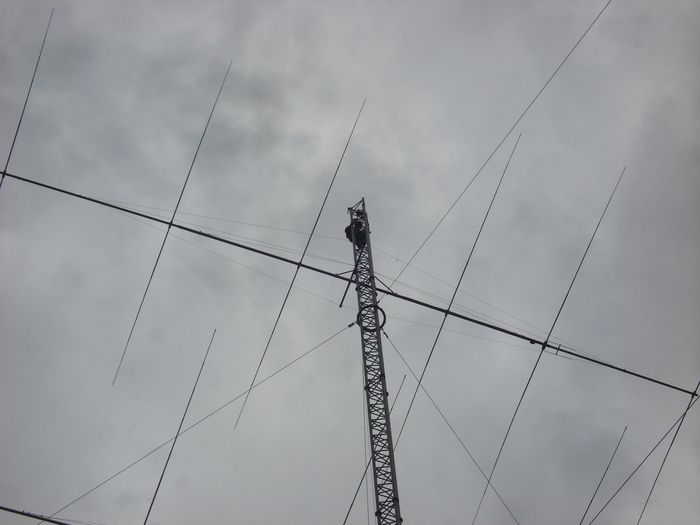 Now we are waiting for some calmer weather so that we can start the process of building the yagi in the tower, right now its too windy. 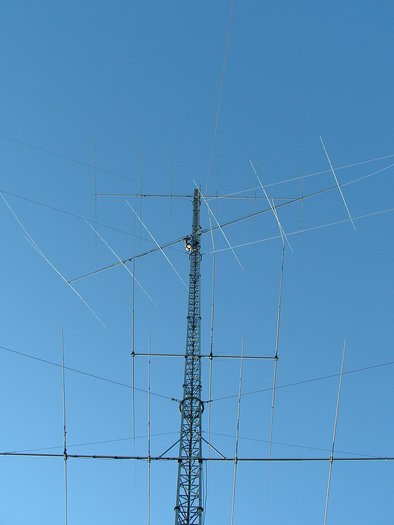 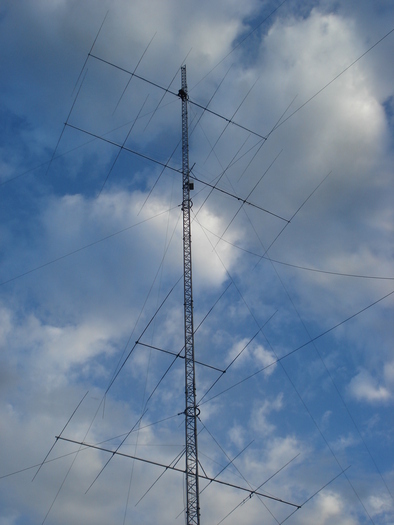 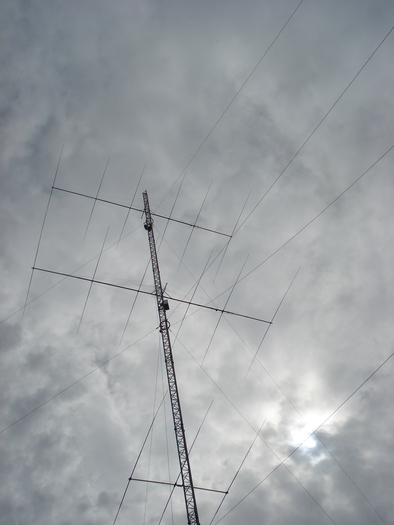 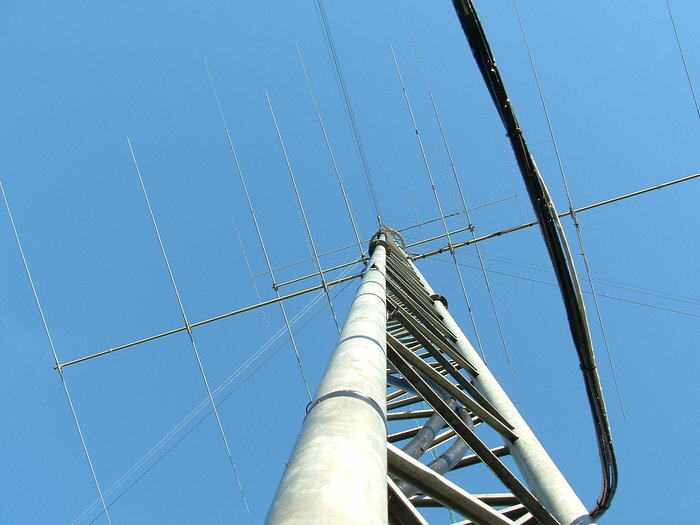 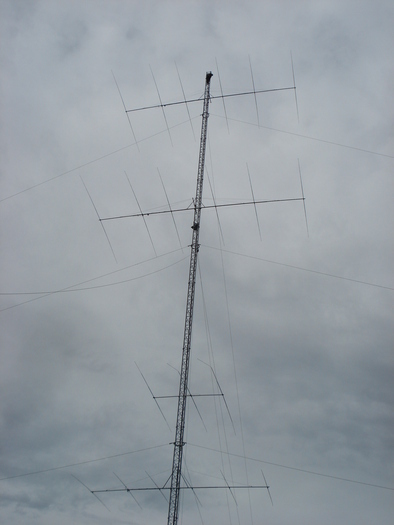 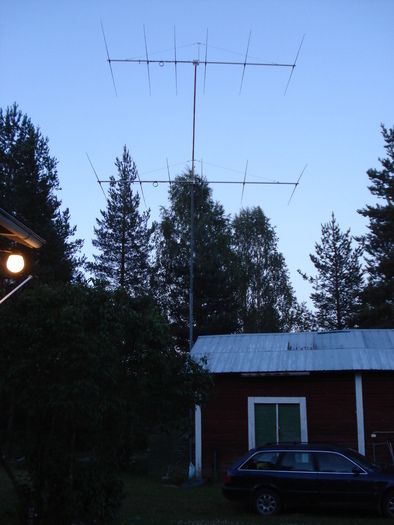 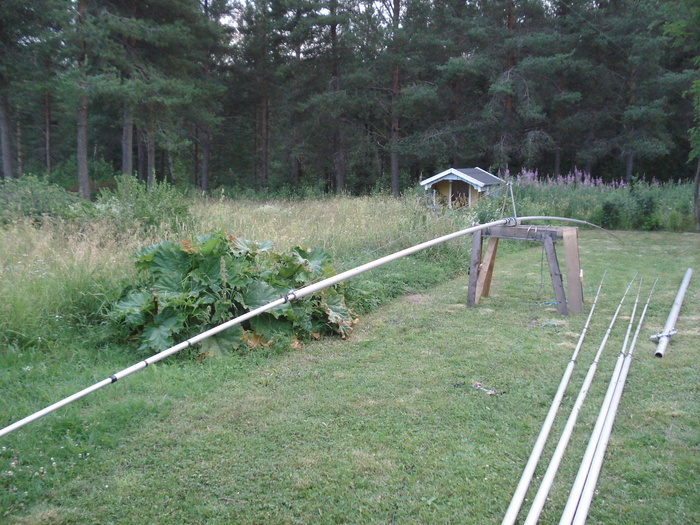 The current big project at the station is to get the 3el fullsize 40m yagi up at around 60m in the big tower. 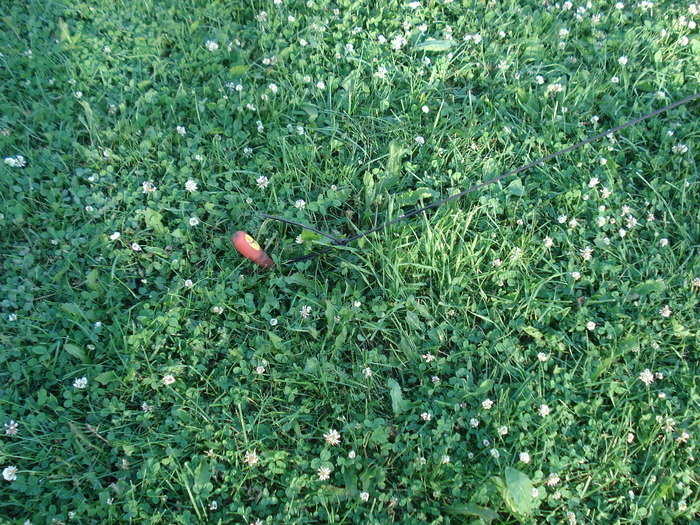 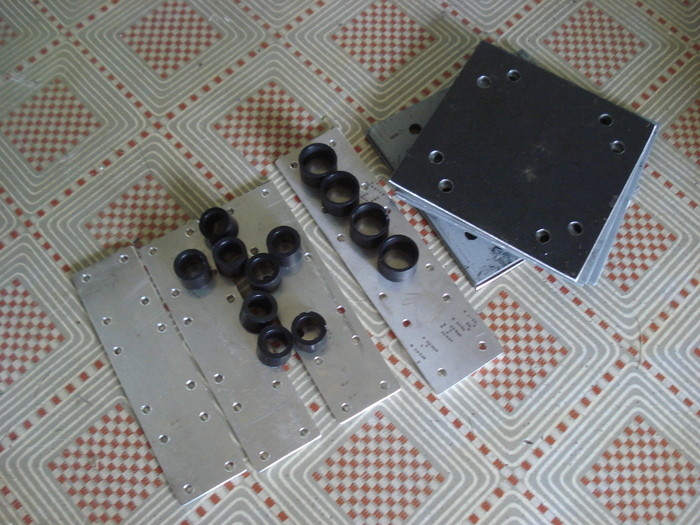 This will be done during the week with help from SM3SGP. 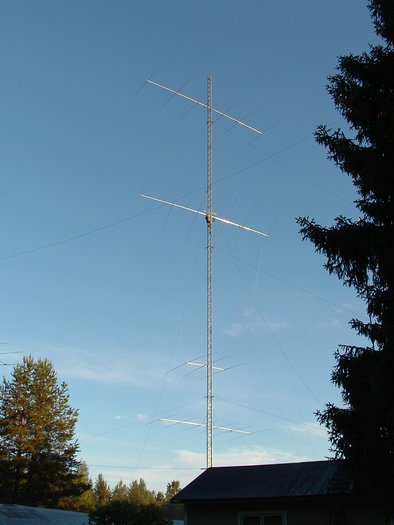 Since its hard to hoist one of these and clear the guy lines we will build the beam up in the tower. 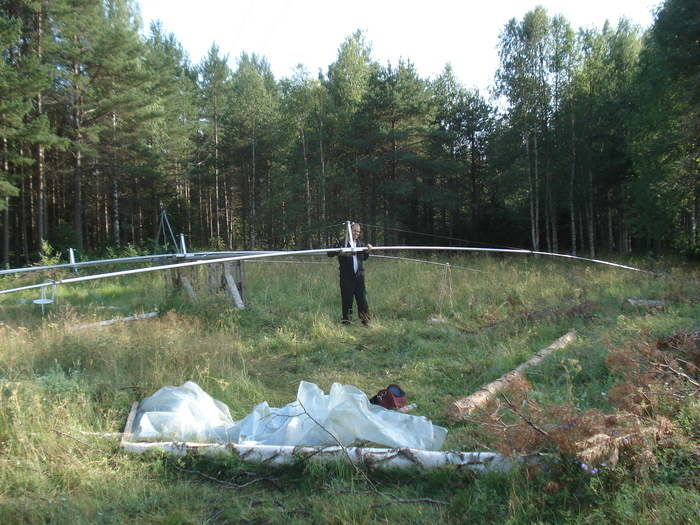 So first we hoist the boom, then the reflector/director and last the driven element. 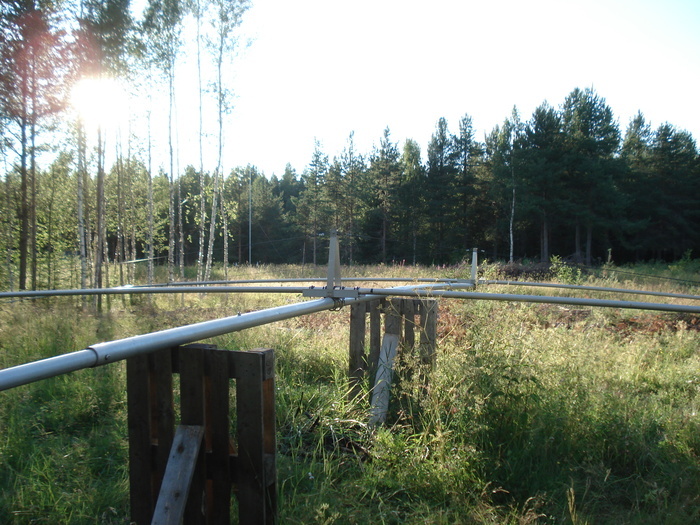 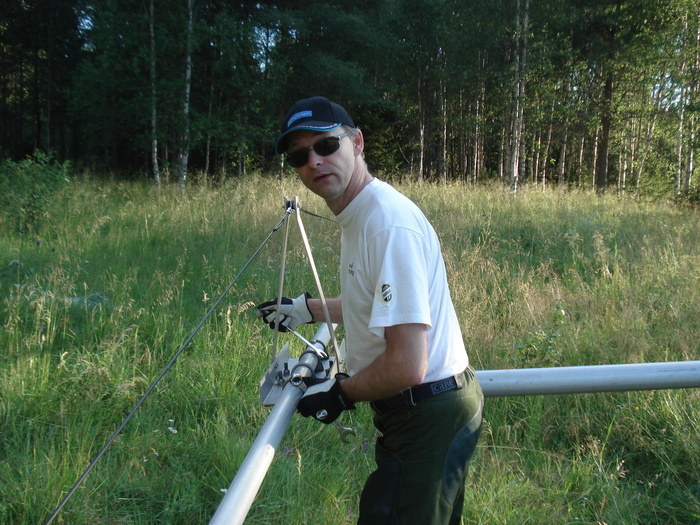 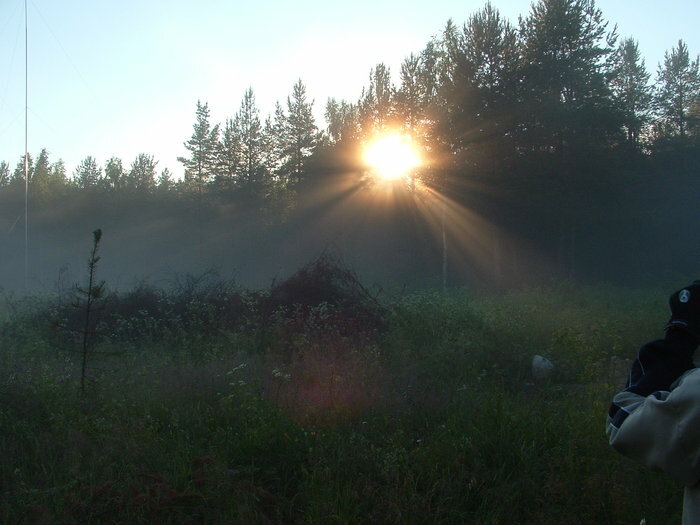 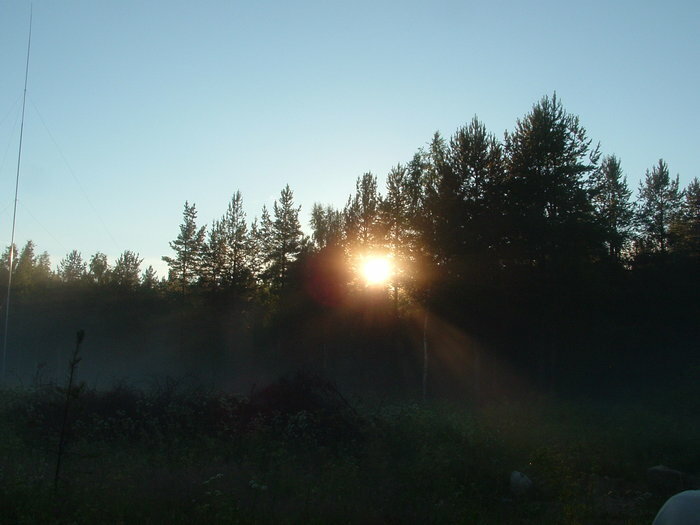 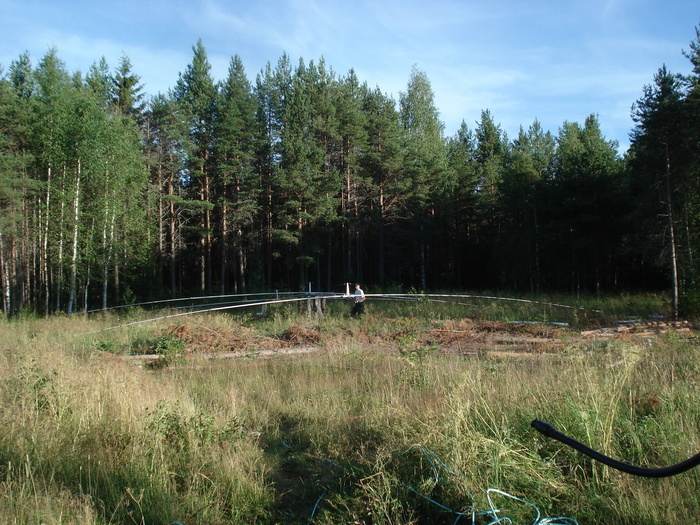 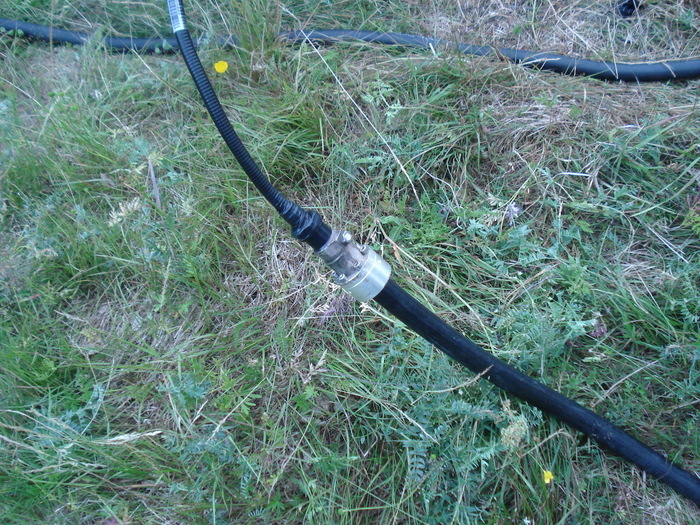 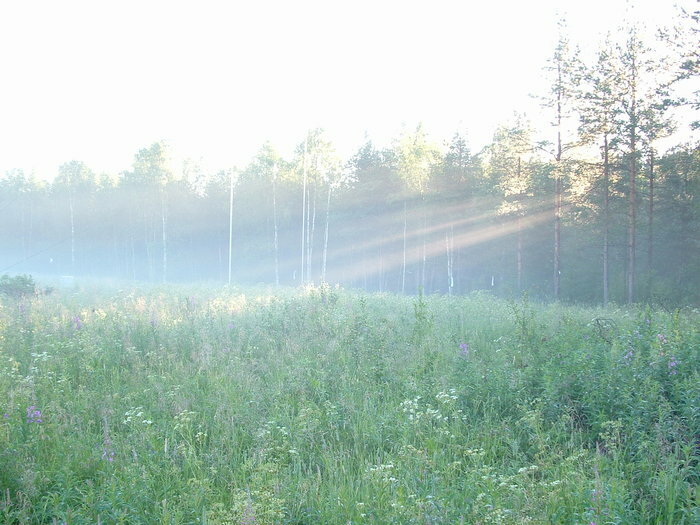 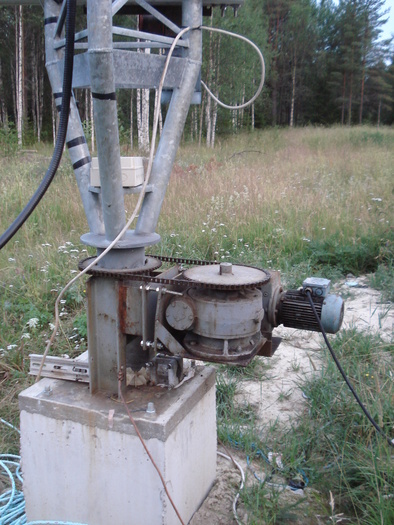 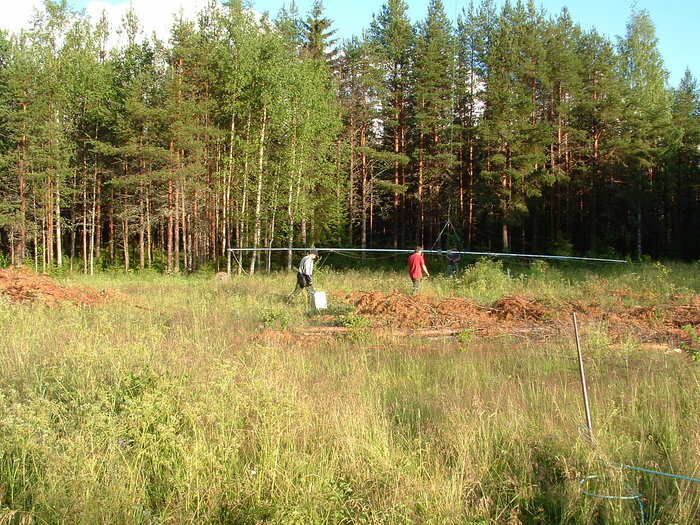 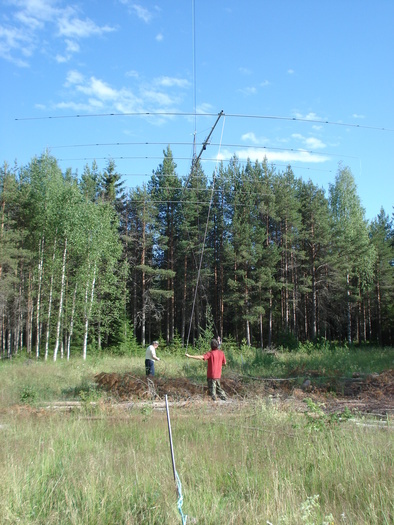 SM3SGP has done this before at his QTH (SK3W) with success. 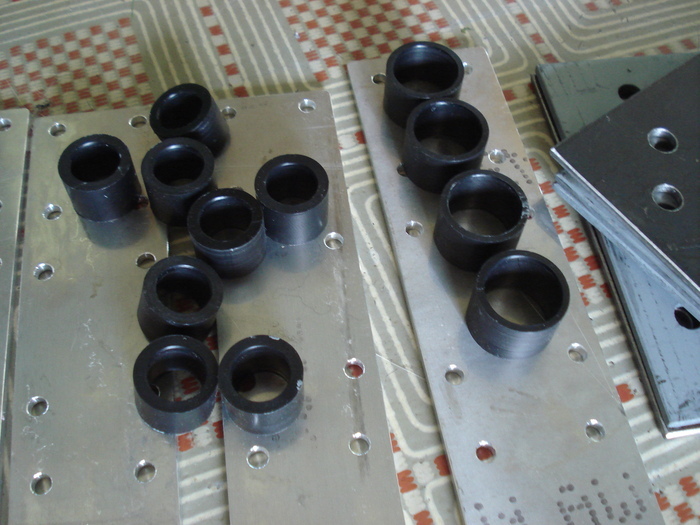 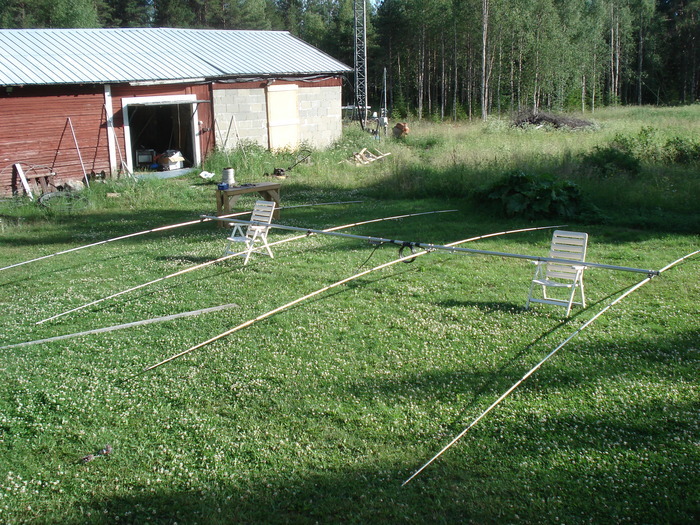 I made a brief trip to the work QTH where I during a few hours made 6 pcs of boom to mast plates, 4 pcs of driven element plates and a lot of isolators for the two 15m yagis and the last 20m yagi. 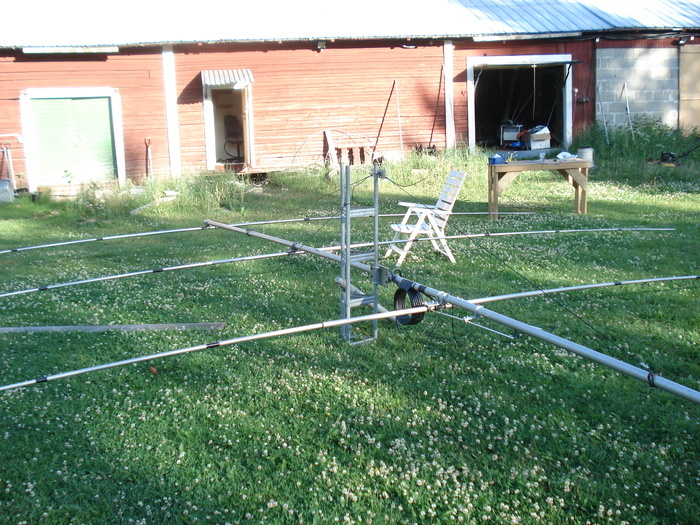 So now I have pretty much all pieces to get all antennas in the 60m tower completed except the 2nd 40m yagi, which will probably be done next summer because of some material shortage. 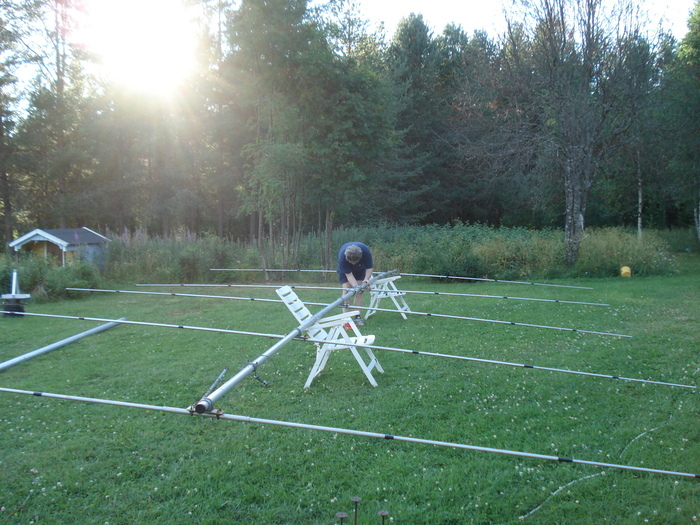 The major task before the IARU contest was to make a try getting the mid 6el Yagi up for the 20m stack. 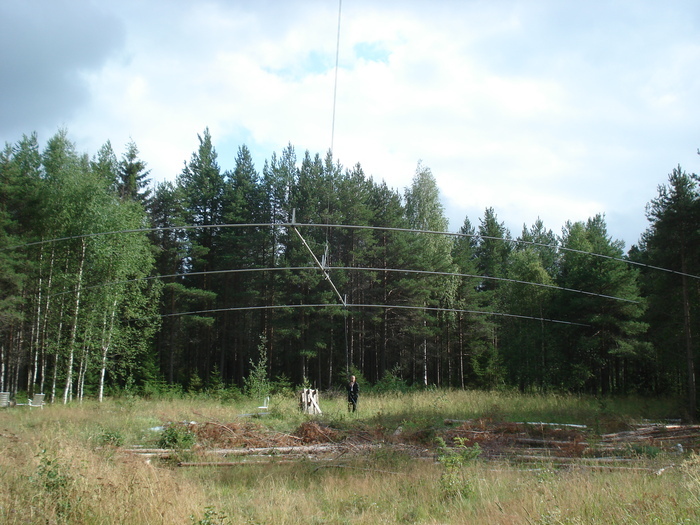 The tram wire and hoist rope had already been mounted earlier. 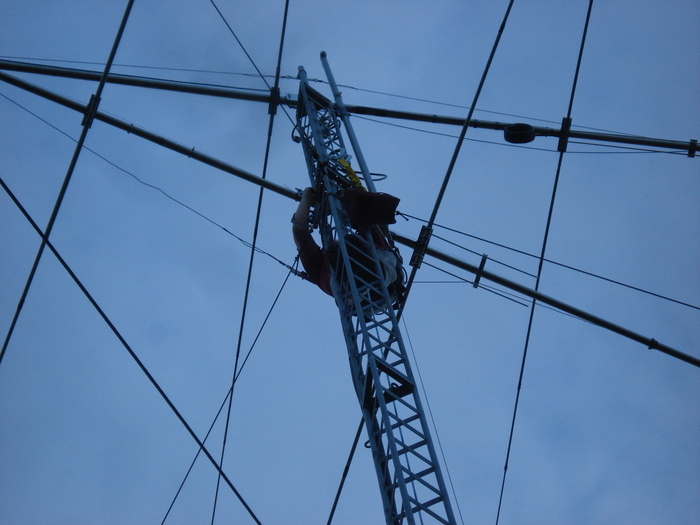 Unfortunately when I went out with the tram wire I did it on the wrong side of the hoist rope, making it move over in the two wheel block. 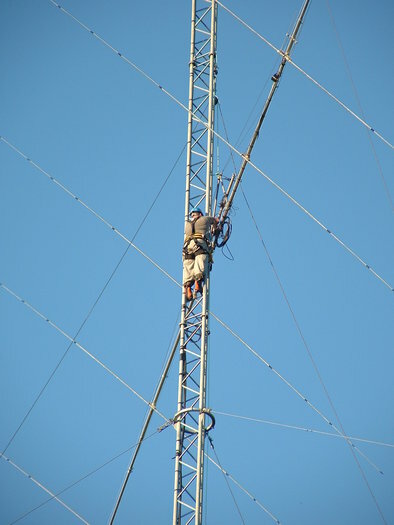 When this was realized it was nothing else to do than climb up to 45m and fix it. 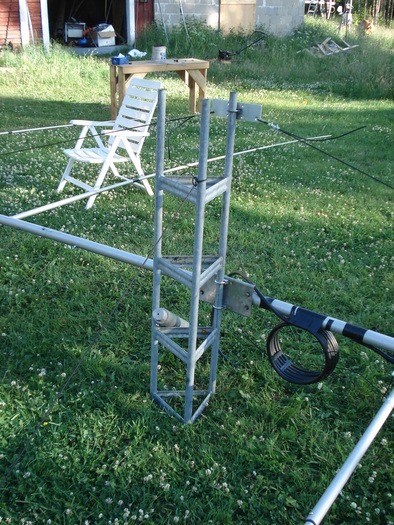 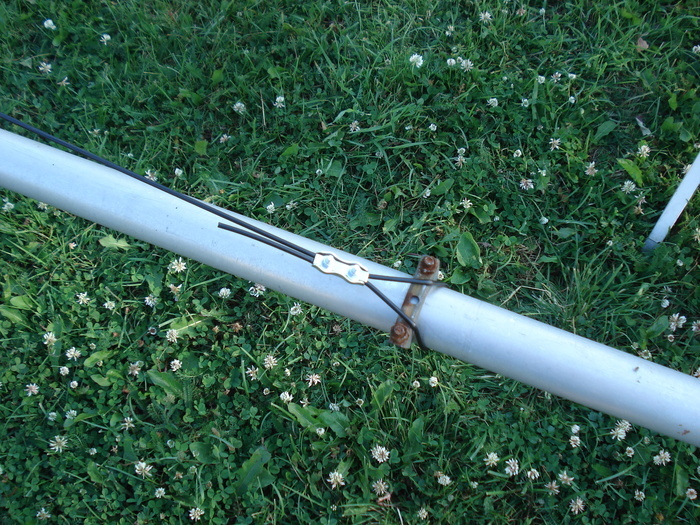 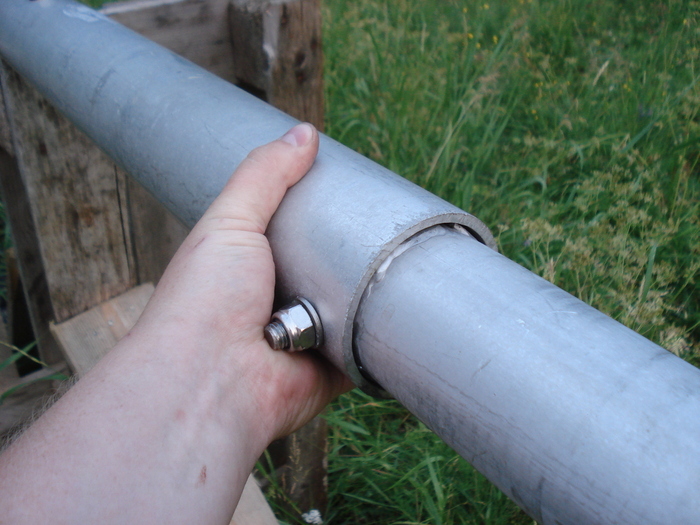 When doing this I also took with me the new cable for the top 20m Yagi so that I would not need to do that after I had installed the mid Yagi. 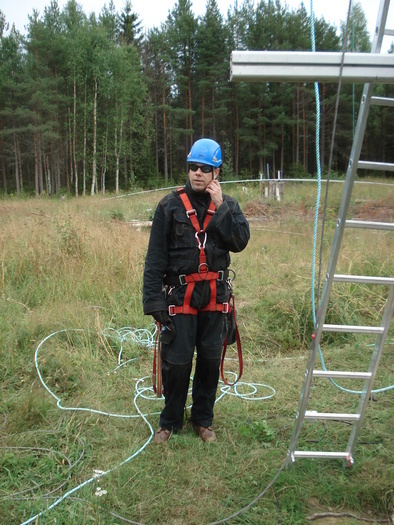 This climb went smoothly but it was warm and my problem of getting dehydrated made me a bit fatigued after the climb, even though I drank a lot the whole day. 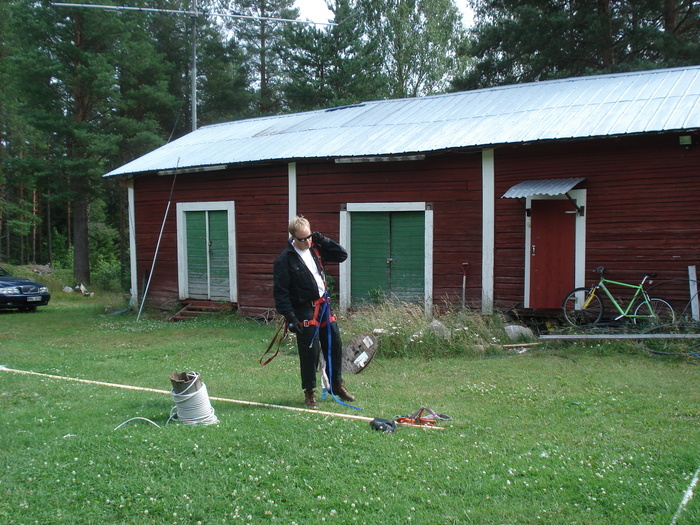 However I did luckily recover well until it was time to do the next climb. 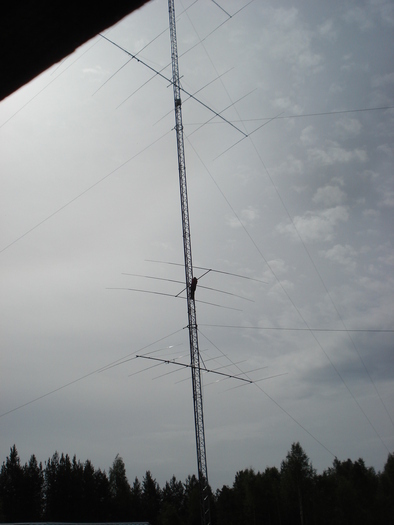 The tuning process went very smoothly since we knew the tip length from the top Yagi and we just had to move the hairpin bar slightly and it was perfect tuned at 14175 MHz, mid band. 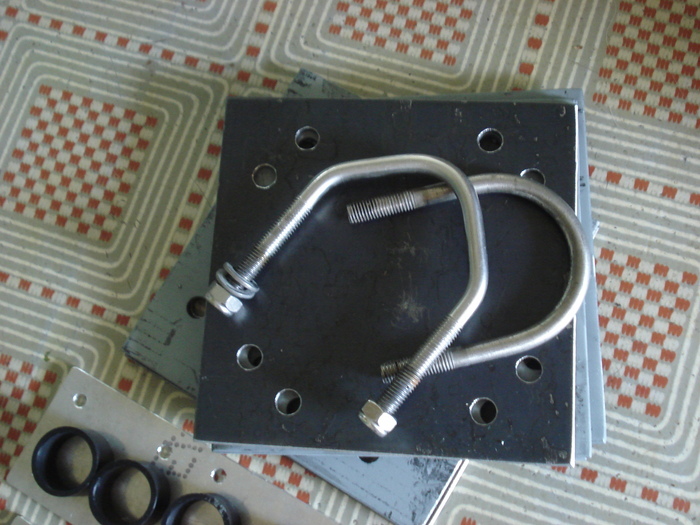 So when this was done we did screw in 2 screws in each tip just to insure that except the clamps it would really not be a problem in the future of it starting to move. 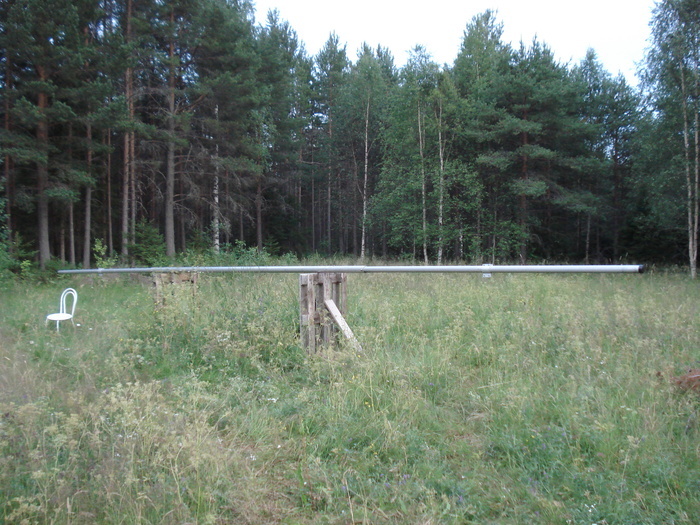 The beam was now ready to be lifted but we got interrupted by some heavy rain which made everything wet and when it got warm again it was a lot of fog. 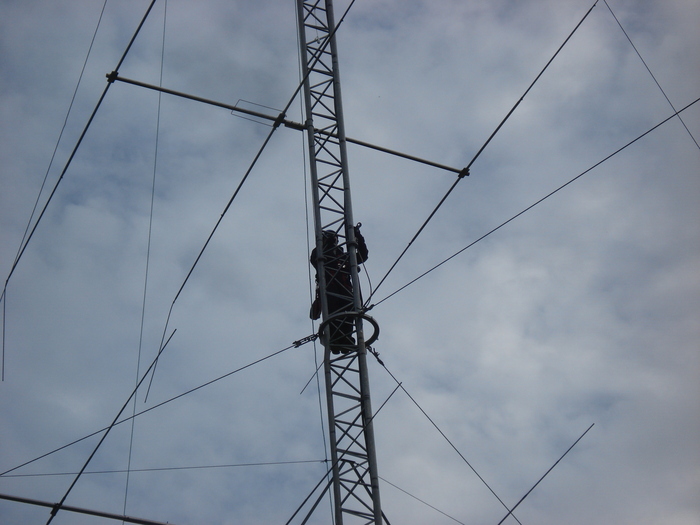 We tilted the beam and hoisted it up to its intended position and it was time for me to climb up to the tower. 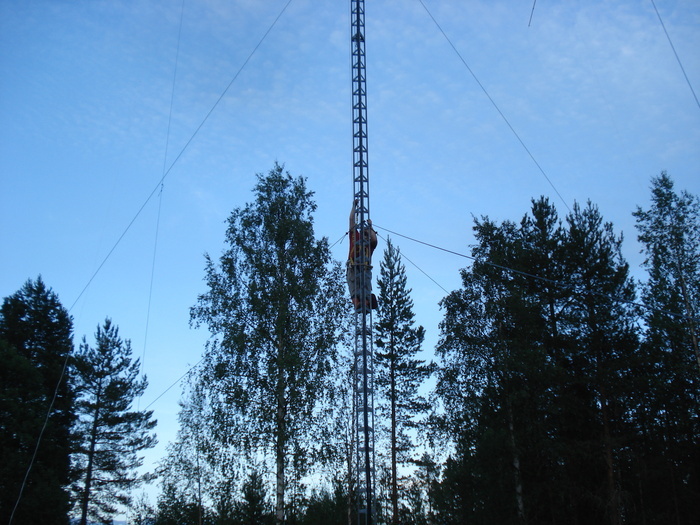 I took it pretty slow to get up there so that I would not lose too much energy on the climb and took 0.5l of water with me, which was not nearly enough since I ended up spending four hours up there until 00:00 local time. 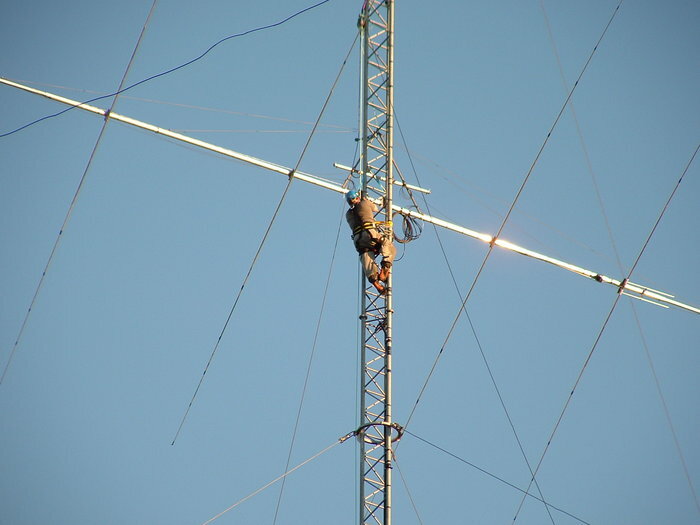 It was warm and nice though up in the tower, they had it a lot worse down on the ground since the damp grass and fog made it cold. 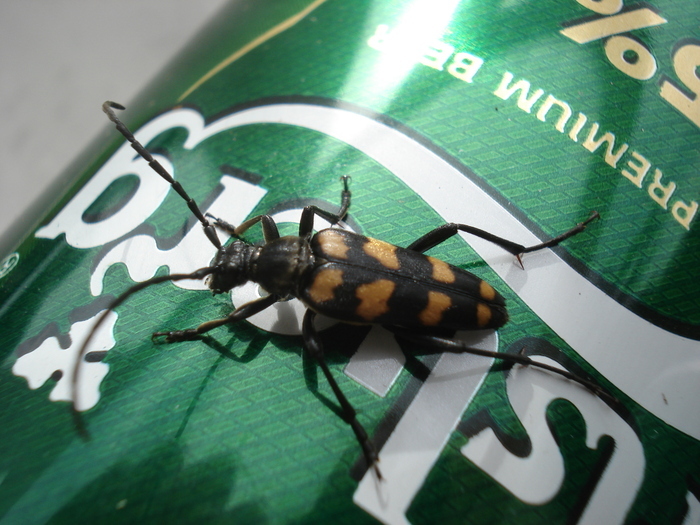 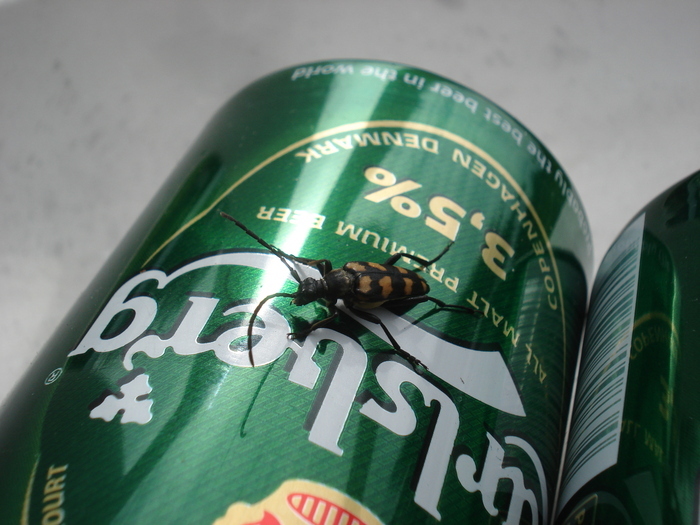 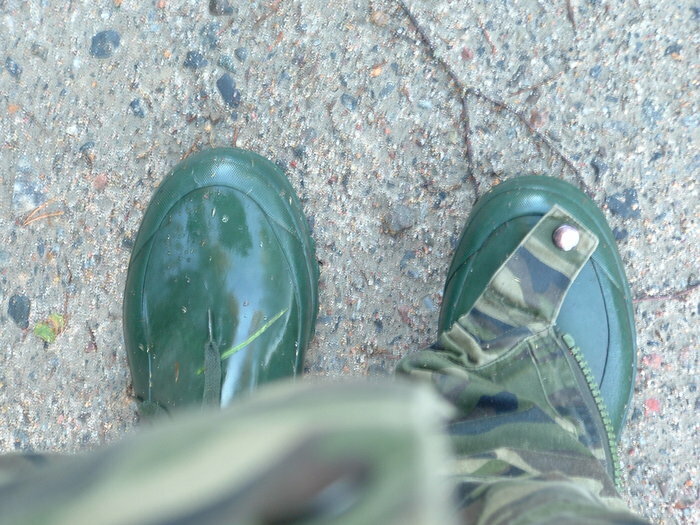 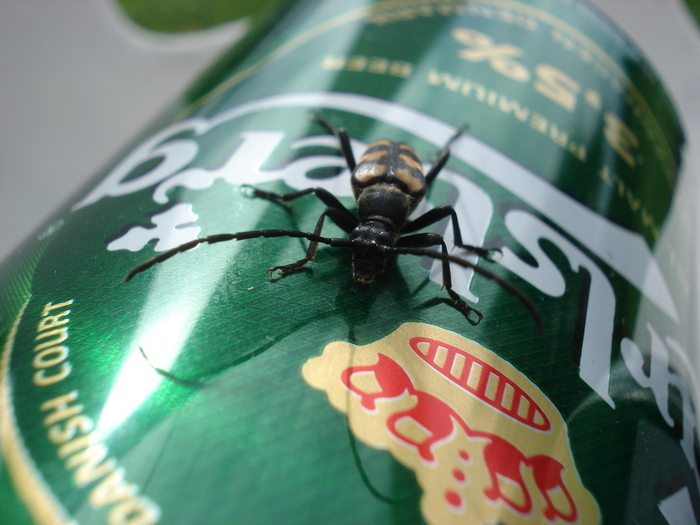 I did not understand why everybody was putting on jackets etc but when I got down to about 20m I realized why. 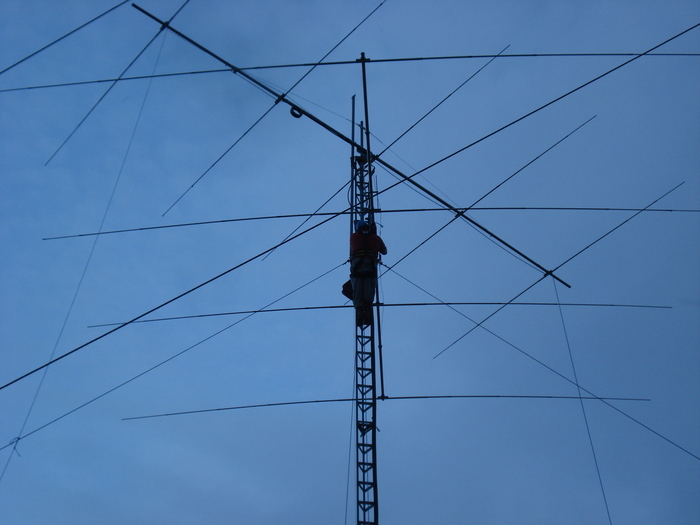 It is a bit tricky to handle such a large Yagi (18m boom = 60 feet) but with a bit thinking it got solved and positioned properly. 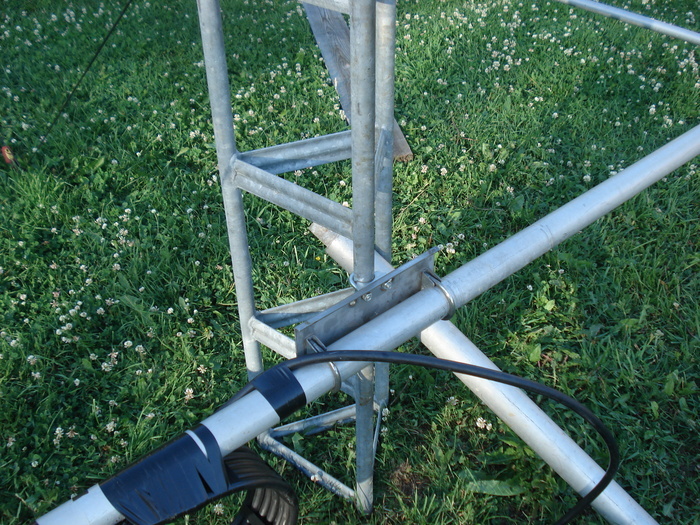 It took a bit time to add the side support for the boom, but I wanted to get it done at once so that I would not need to climb the tower later for such an “simple” task. 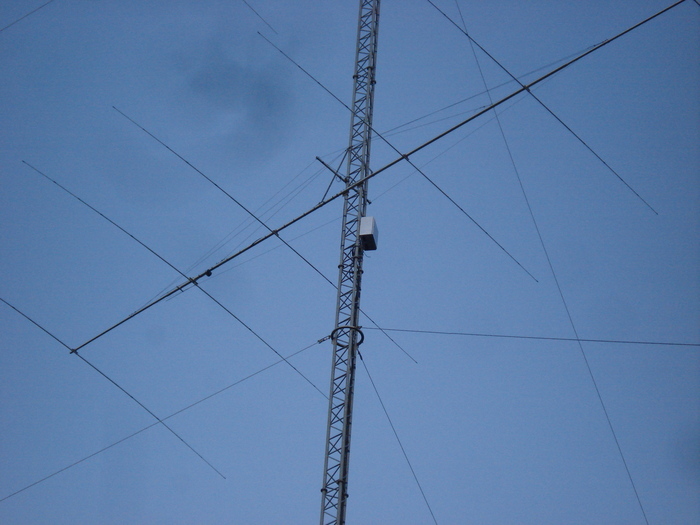 When the beam was in its position we hoisted up the cabinet containing the stackbox for the 3-stack and for this 2-stack since the low 6el is still missing, I added the L match I built earlier and after measurements the stack resonated exactly where we wanted with ufb VSWR. 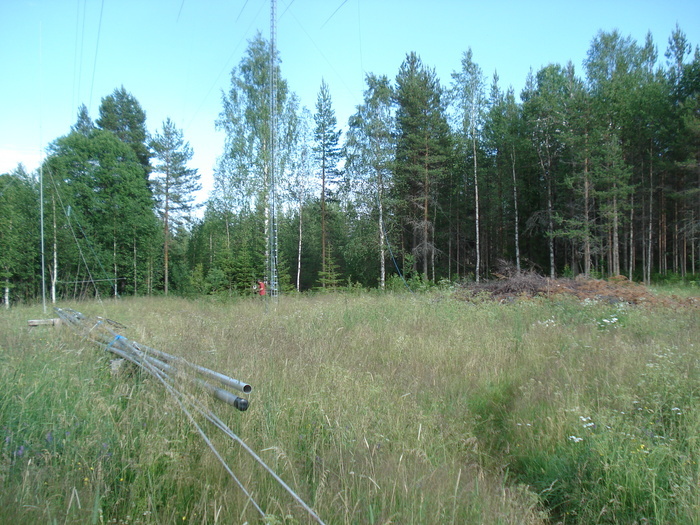 We got to test the stack immediately since we operated 20m SSB as SK9HQ in the IARU contest. 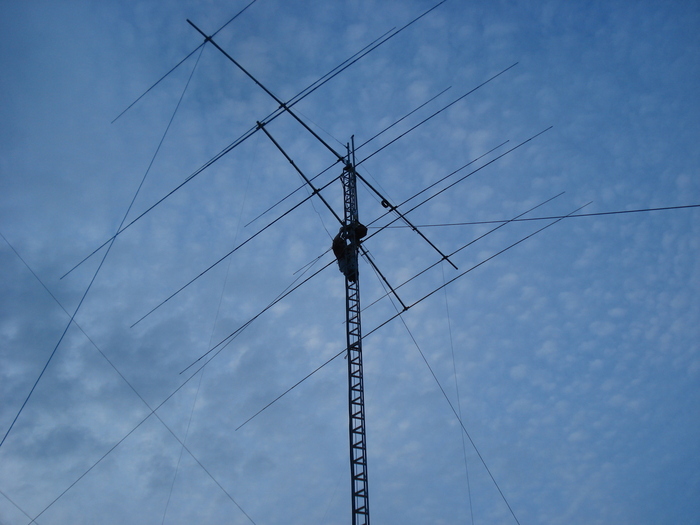 With pretty much perfect propagation on 20m we had a blast working 3516 qsos where 52% were DX (!). 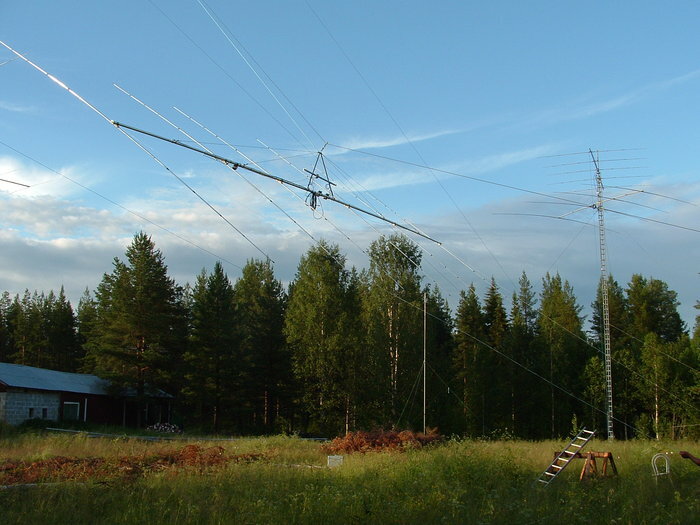 This seem to be a result which beats most HQ stations and I am extremely excited about this result and we did not have a single hour under 100 qsos. 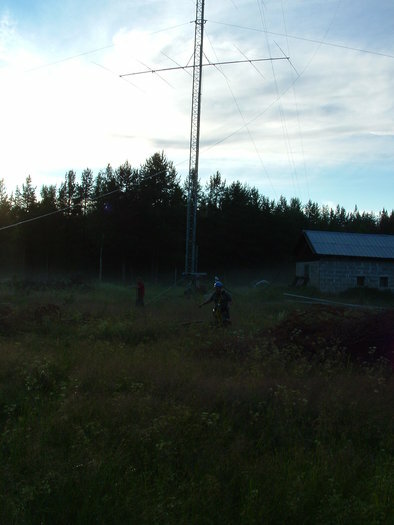 Operators in the contest was me (SM2WMV), SM3JLA and SM2LIY. 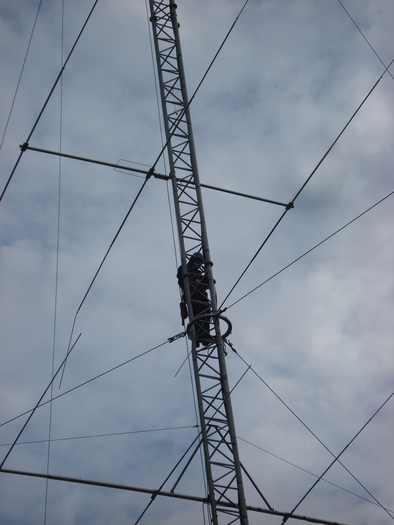 SM2XJP and SM2XLL helped with the hoist of the antenna so thank you guys for that! 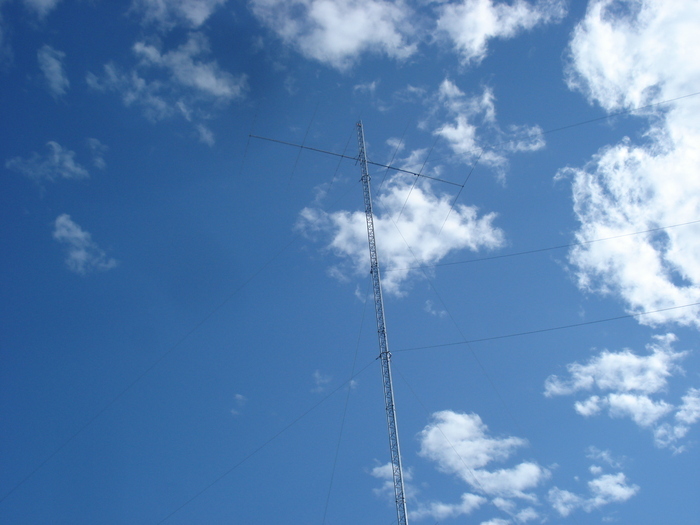 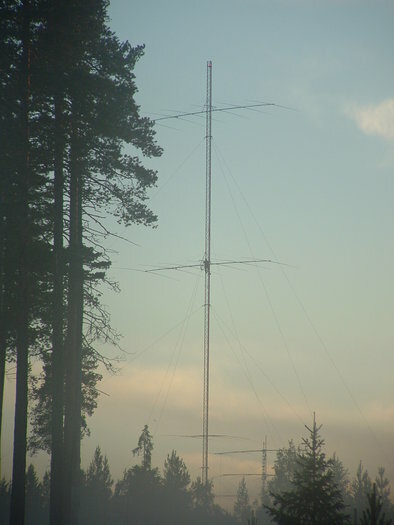 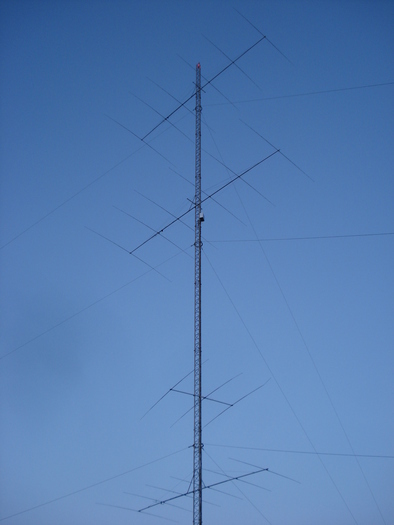 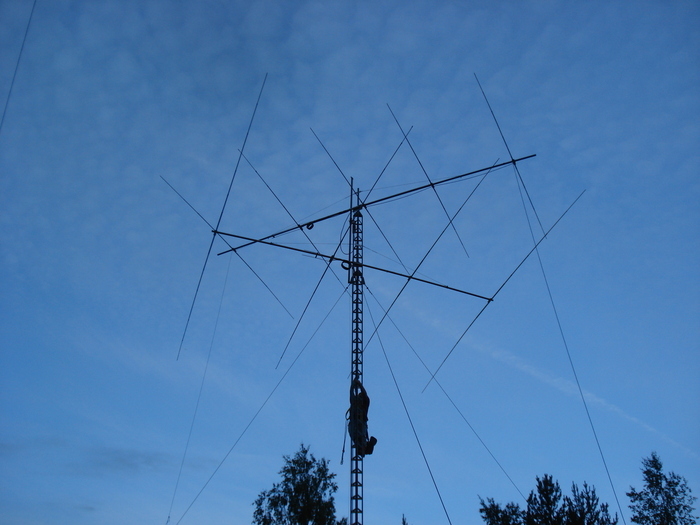 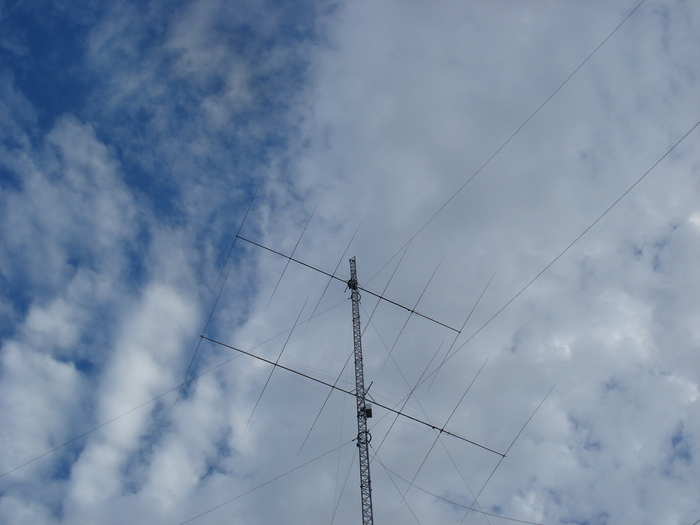 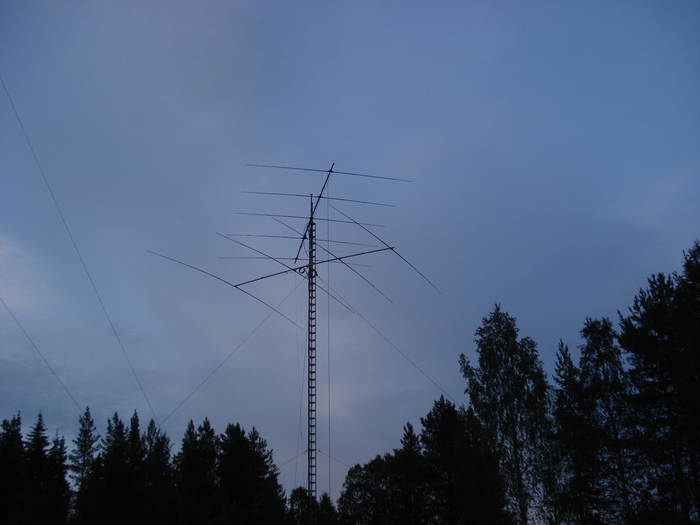 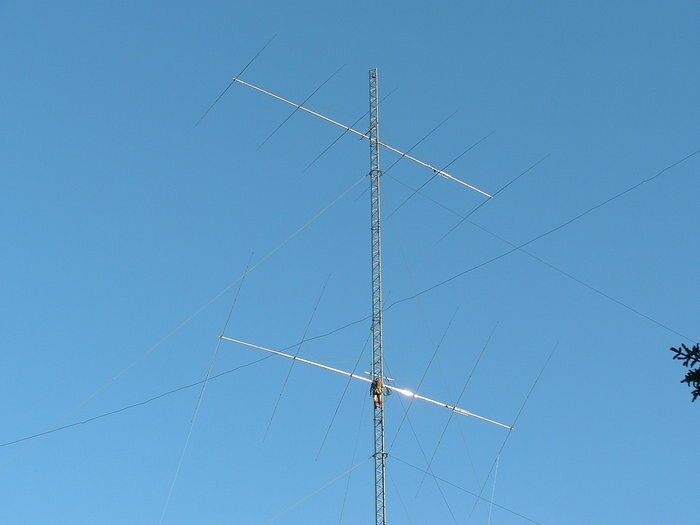 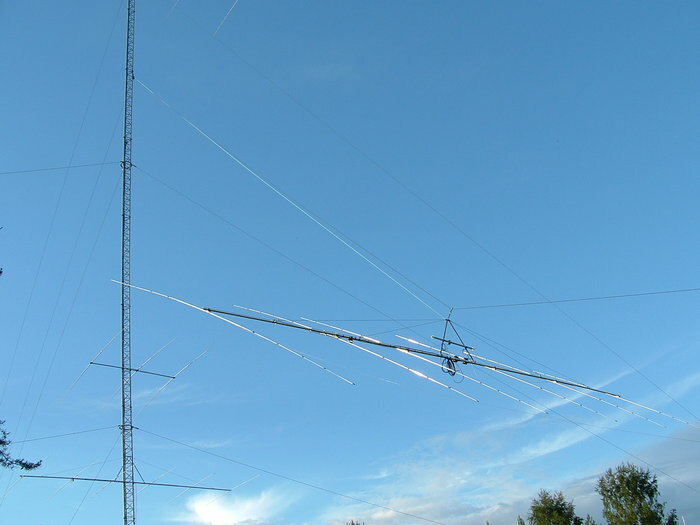 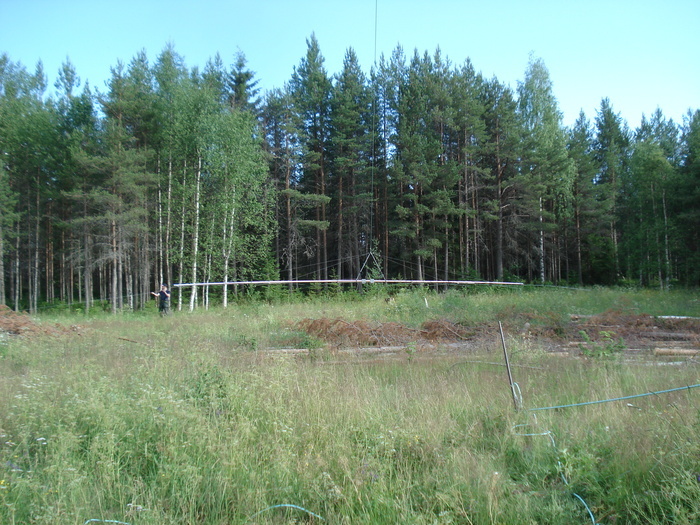 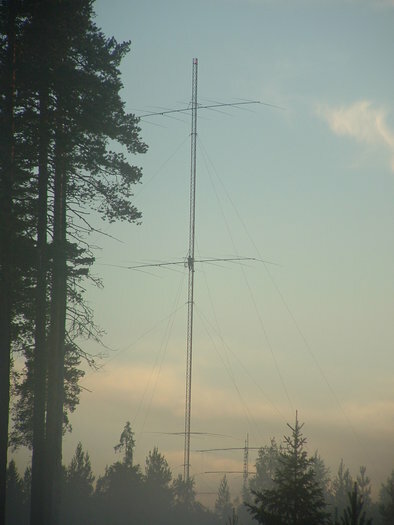 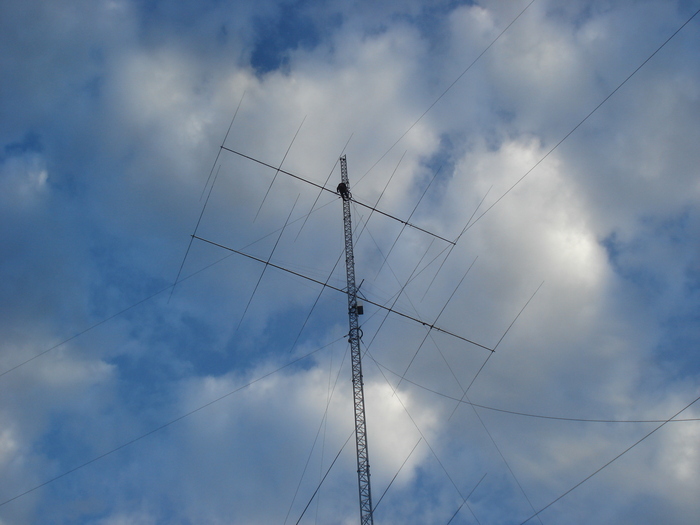 We wanted to have the planned fixed 4el monobander up for IARU which we would do as HQ on 20m SSB so when I arrived at the QTH during my first vaccation days, I assembled the beam and with help from SM2XLL and SM2XJP we hoisted it up to the tower and mounted it. 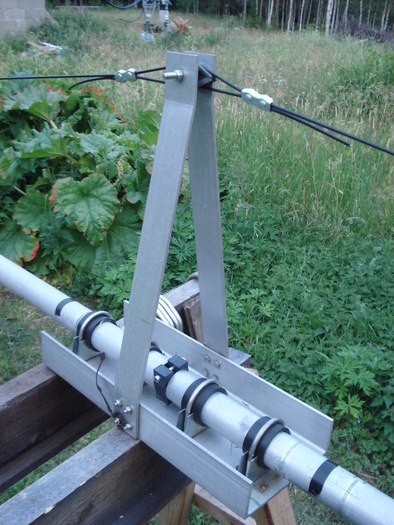 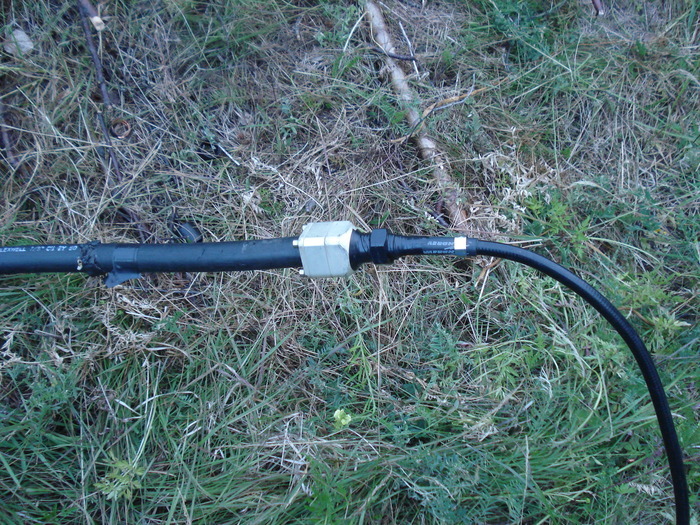 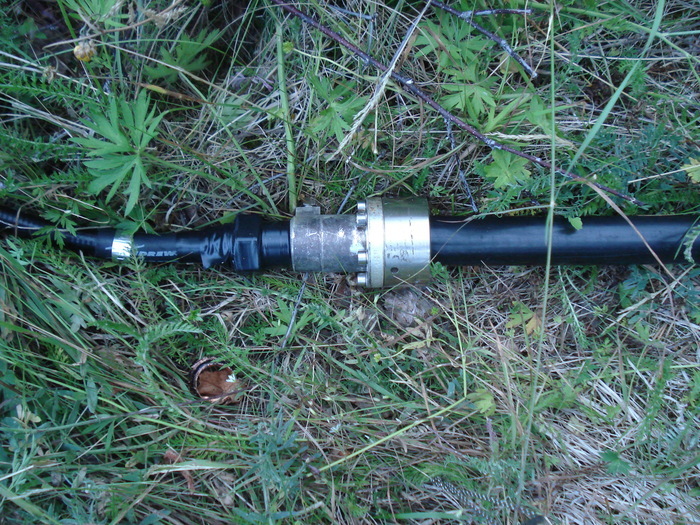 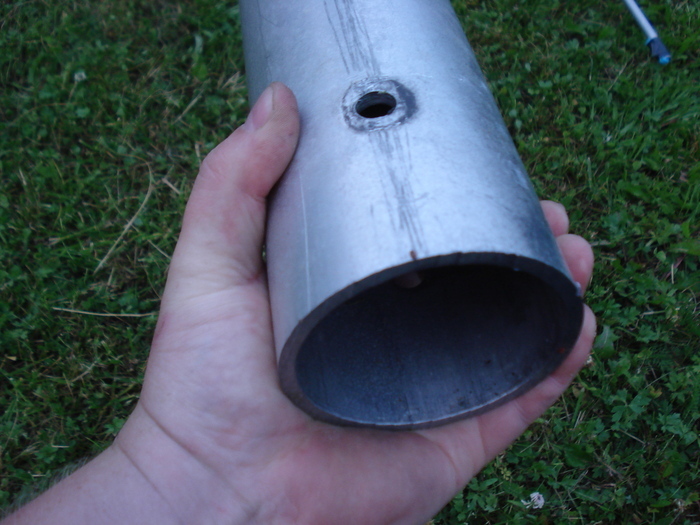 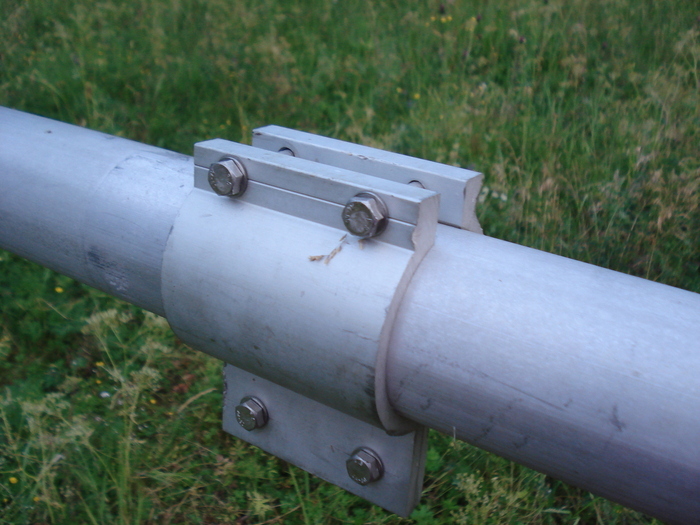 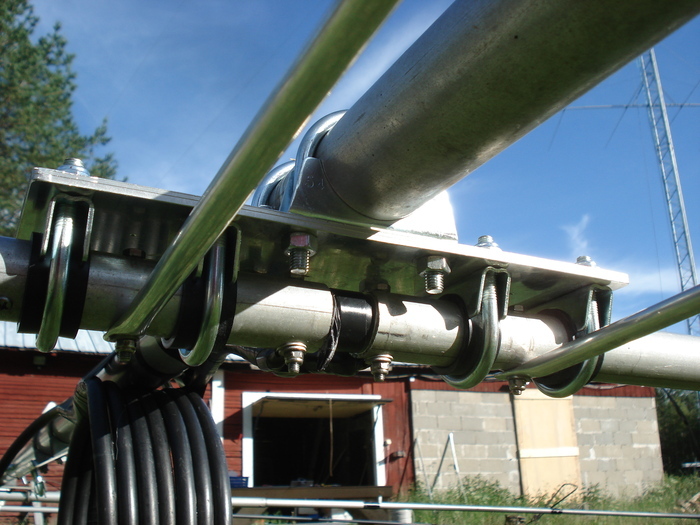 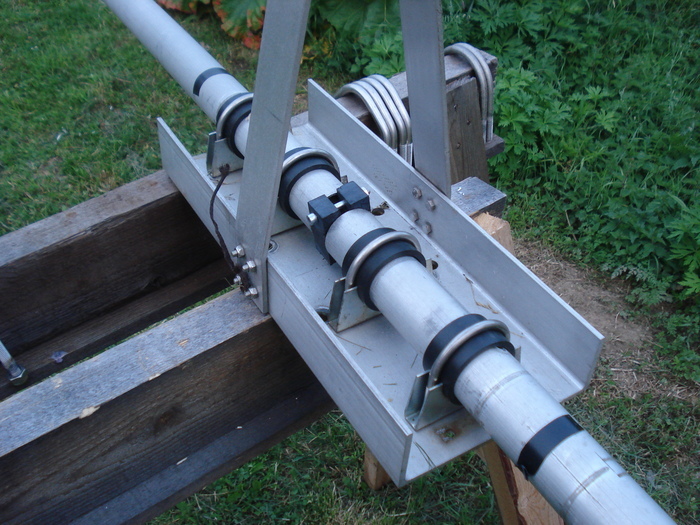 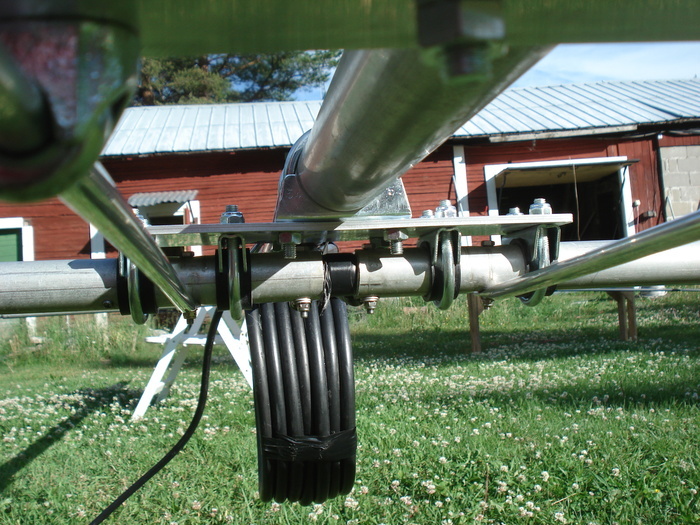 Its now connected to some 7/8″ cable which will be put up on poles later with some 7/16″ connectors donated by Jim, SM2EKM! 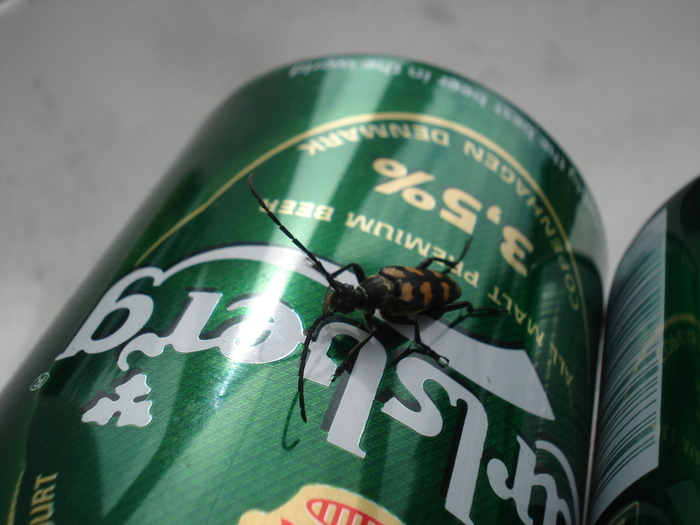 Thanks dude. 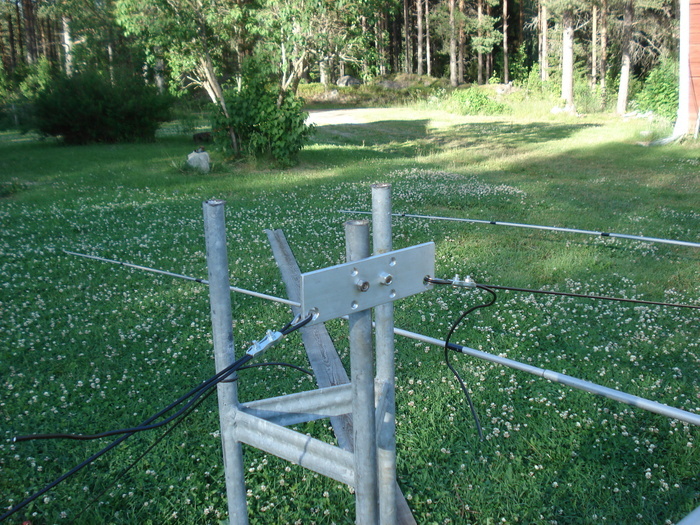 It is positioned at 16m to cover most of the angles that I need to cover according to HFTA, which of course makes it suffer a little on very low angles but overall it seem to work fine. 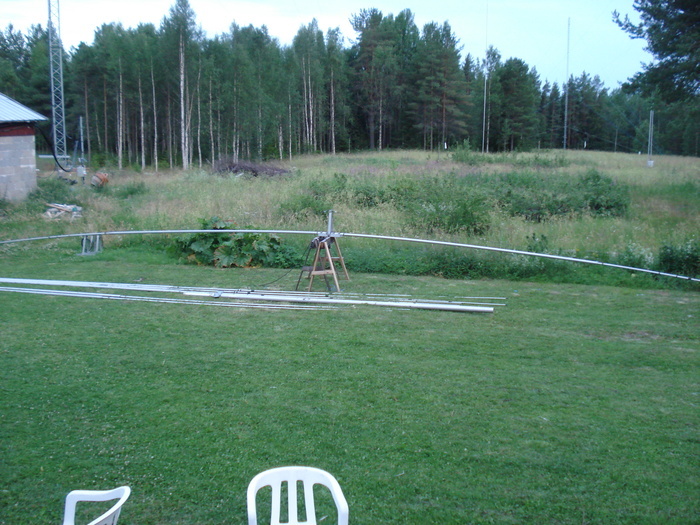 It is positioned under the 5el for 15m which will have about 3.5m separation after the rotator is in place.